For the person who was looking for a fillable NF-2, New York Motor Vehicle No-Fault Insurance Law Application for Motor Vehicle No-Fault Benefits, yesterday, and others who may find fillable forms more useful than the static New York no-fault claim forms I separately uploaded and made available on this blog six weeks ago here, I've created and uploaded a fillable NF-2 application form, which you can access and download here or by clicking on the image to the left. The PDF form can be completed and printed with any version of Acrobat Reader. Unless someone knows a hack I don't, you'll need to have a full version of Adobe Acrobat, however, to save the filled-in form. 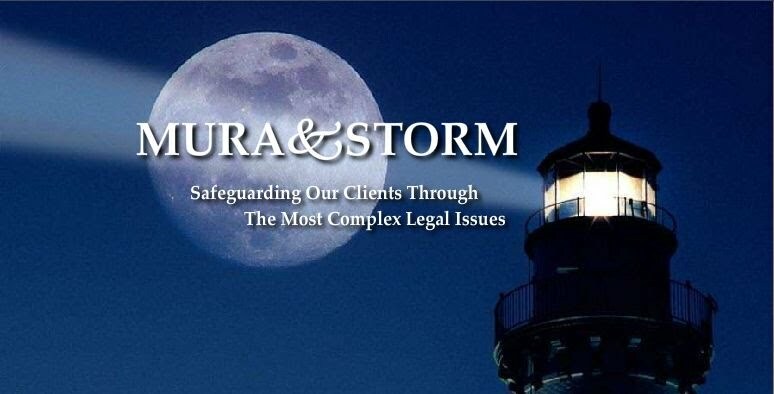 I'll probably wait until after the New York State Insurance Department completes its revisions on Regulation 68 and the prescribed no-fault forms before creating and uploading any more fillable forms. Merry Christmas everyone. Posts will be sporadic until next week. P.S. 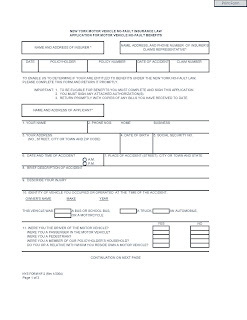 (July 11, 2012) ~~ The complete and updated set of fillable prescribed NY no-fault forms is here. Roy - you can "save" the filled out form by "printing" it as a pdf document - primo pdf is free and works great.